Interesting blog post at (of all places) npr.org on the high barrier to entry for new readers of Nail Gaiman’s series The Sandman. And they’re right: The Sandman does have a high barrier to entry. I bought the series from the beginning, and while I loved the first issue, the issues following were simplistic and sometimes disgusting horror fare, and I dropped the series after about 6 issues. (Yes, I missed the original issue in which Death was introduced.) I only started picking it up a year or so later when “The Dream of a Thousand Cats” kicked off the first of several cycles of short stories in the series. Honestly it’s difficult to introduce new readers to Sandman. 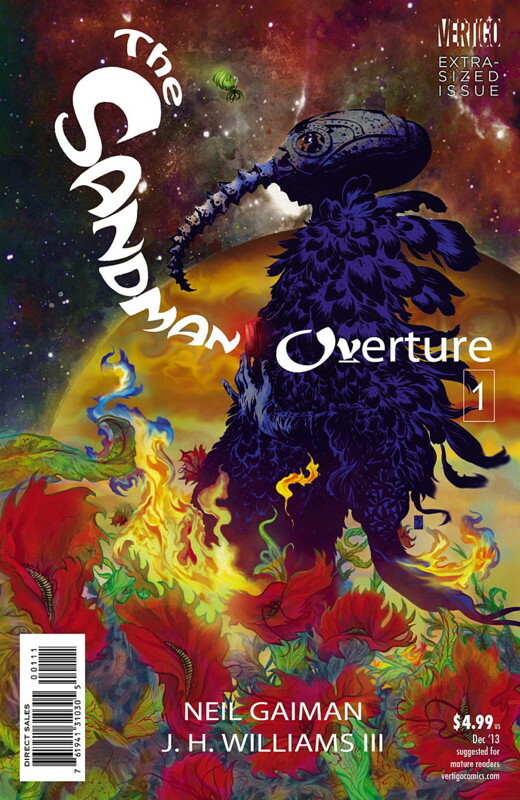 Those early issues (collected in the first volume, Preludes and Nocturnes) are often not a lot of fun, Gaiman’s writing is very shaky as he hadn’t really gotten comfortable with his voice yet, and the art is erratic at best: Sam Keith’s cartoony style didn’t suit the series, and Mike Dringenberg’s muddy pencils and often-perplexing layouts were no better. The second volume, The Doll’s House, lacks focus, seeming like little more than a collection of amusing characters and gags, and has a thoroughly disappointing climax. The third volume, Dream Country, is a quartet of short stories, which are good, but not a good introduction to the series. As the NPR article says, it’s not until the fourth volume, Season of Mists, that the series really finds itself. Yet, there are many details in the first three volumes which are important to understanding the arc of the series as a whole. I push comics at many people by lending them collections, but even though it’s great stuff, I can’t recall ever turning a new reader onto Sandman. And especially for people who aren’t comics readers, it’s not a series I’d choose to try to turn them on to comics.